Team Liquid made one of the most exciting comebacks of the year to win their first title of the season, LCS Spring Split 2019. Let’s break down every game played in the grand finals. Nicolaj “Jensen” started the grand finale to catch TSM off guard since for the mid lane, he picked Heimerdinger. This matchup was evenly contested by both teams from early to mid game. No side was able to get a solid lead. Yet, by the slightest margins Liquid did control the map as the opponents couldn’t contest their tower push. TSM was smart enough to get the Baron. After that, they found Doublelift without any assistance, which led to an easy kill at 35 minutes. This changed the game for TSM and they drew first blood of the grand finale with a 1-0 lead. This was in our opinion the most entertaining match of the series. It kept everyone on the edge of their seat, even before the start of the game. Since in the drafting phase Zyra was picked by CoreJJ and Bjergsen got Lux. Both teams truly shed blood and tears as this game was a complete brawl. Liquid, as well as TSM, wanted to fight rather than farming the map. Team Liquid wanted to end the game early because of its high nuking draft. Yet, TSM continued to push the game to the late stage. In the last couple of fights, Broken Blade outplayed Doublelift and Liquid to put TSM in control of the final, 2-0. Will @TSM close out the series or can @TeamLiquidLoL start the comeback? Game three of the 2019 #LCS Spring Finals is up next! The game would have been the final game of the series but Liquid refused to back down. They gave there all from the first minutes as the top and bot lane was on fire. Broken Blade on Vladimir was helpless against the dominance of Impact’s Gangplank. After a solid early game, Liquid snowballed in the mid-game. They got their hands on the Baron and Early Dragon to win their first win of the series.
.@TeamLiquidLoL stay alive with the game three victory! Game four of the 2019 #LCS Spring Finals is coming up next! The most one-sided game of the series was game four. Doublelift and Impact demolished TSM in the lane phase, getting plenty of kills with no reply. TSM tried to answer the aggressive plays of Liquid but they couldn’t achieve anything. At the end of the Game four, Liquid won with 15 kills to just 3 of TSM. Now everyone, the players, the fans and the coaches waited for the 5th and final game of the series. One last time, #TLWIN or #TSMWIN? From our perspective, Game 5 was one of the closest games of the 2019 season. Since this game could have gone either way, but Liquid just managed to win it. TSM finally woke up in the final game and controlled the early stages of the match. Liquid, on the other hand, coped well against the TSM’s push. TSM couldn’t even capitalize with the double-Infernal buff. After spending the majority of the game on the backfoot, Liquid flourished in the late game. Zven was caught in no man’s land which led to an easy kill for Liquid. Immediately after the kill, they got the Baron and went on a rampage. 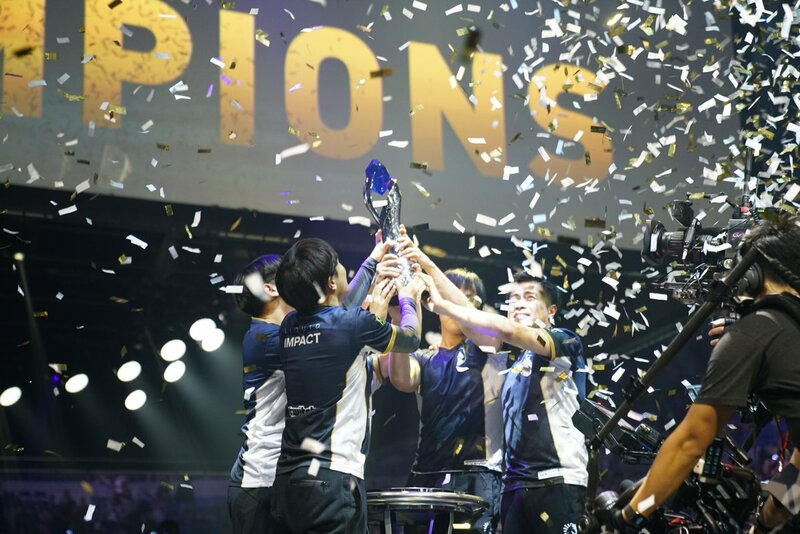 Liquid completed a remarkable comeback to win its first title of the 2019 season.